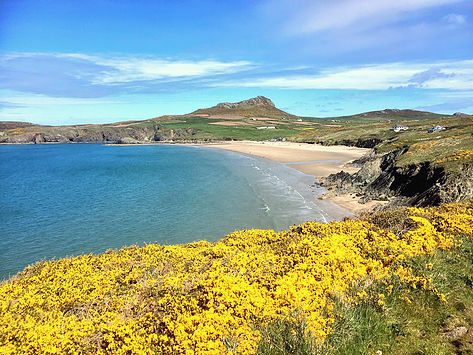 As I write this blog I hear the sound of waves hitting the quiet cove beach just metres away from the coastal path, I have birds flying overhead singing sweet spring songs, and to top off my moment here I have stunning views of Whitesands Bay and its perfect blue waters. I heard this saying a lot recently while travelling in Portugal, “Pura Vida”, understanding that a hell of a lot now while on a SUP and bell tent adventure of BBA in Pembrokeshire. Only a few hours ago I was exploring this awesome coastline by stand up paddle board (SUP) with a seal following our group, popping his head up to say hello now and then. I saw giant crabs on the sea floor through crystal clear waters, and the rocky coast is just breath-taking and screams adventure! We have recently come back from developing new adventure travel packages in Portugal, Biarritz and nearby Pyrenees, and also Holland. It was busy and chaotic at times, a lot of meetings and driving long miles to explore the areas we wanted to use (get the violins out right?). 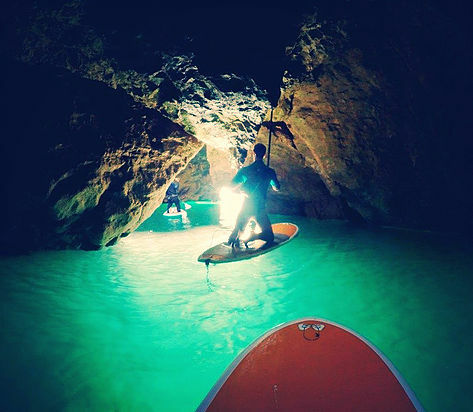 But my god, we have some amazing Big Blue Adventures to share with you guys combining beautiful places and activities like coasteering in Algarve, surf in Biarritz and SUP in Amsterdam. They say that exploring is good for the soul, it opens us up to new ideas, gives us a fresh feeling about life and more importantly, it’s great fun trying new things. We couldn’t agree with that any more – it’s why we have our Big Blue moto of explore, evolve and enjoy based on the good vibes associated with travelling & adventure. As our company expands; adding new locations in Europe, each time we come back to our home of adventures in Wales, we just get blown away by its beauty. It’s not that we have never known what we have here in Wales, it’s just the journey in finding something new can, I guess, make you appreciate what you already had. At Big Blue Adventures we have a key goal really; to create and share memorable adventure travel experiences. We have a love for the environment, water-sports and exploring through adventure. It all started with Wales, my home turf, and despite the warmer weather and awesomeness of our new adventure packages across Europe, you best be sure that Wales is a special place. If you’re looking for an epic active holiday, come and find us in Wales – your adventure is waiting for you!